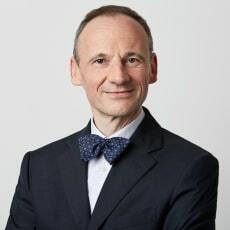 Dr. Patrick Hünerwadel has been a partner at Lenz & Staehelin since 1994. He is an expert in structured and lease finance, asset securitization, derivatives and regulatory matters. Patrick is a lecturer on corporate law and contracts at the University of St Gallen. He also serves as co-chairman of the banking law practice group of the Zurich Bar Association and is admitted as an expert to the SIX Swiss Exchange for listing purposes.